It is necessary sometimes for students to transfer to schools overseas due to family re-location. In such cases the Principal and ESF should be informed as soon as possible of the impending withdrawal from school. 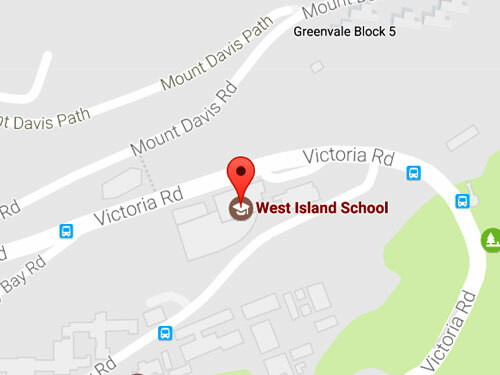 West Island School will provide transcripts and references as required by the receiving school and can arrange for admissions tests to be completed at West Island. Please contact the Principal’s Secretary in such cases. The ‘Student Withdrawal Notice’ is the official document for parents to inform the school of student withdrawal. Withdrawal notice by other means such as email, letter or verbal notice is no longer accepted. Please download and complete the Student Withdrawal Notice should you plan to withdraw your child. This form may be returned by fax (2872 4938), post or email the Principal’s Secretary (maria.chow@wis.edu.hk). ‘Student Withdrawal Notice’ should be returned to the Principal’s Secretary in school at least ONE MONTH prior to the last date of attendance. In order to receive settlement of the Refundable Capital Levy (RCL) in full, if paid, notice of one full month MUST be given. An acknowledgement email will be sent out within 7 days upon receipt of the Student Withdrawal Notice. If withdrawing parents do not receive the acknowledgement email within 10 days after the Student Withdrawal Notice has been sent, please contact the Principal’s Secretary. For current students who will be leaving school at the end of the school year, the withdrawal notice must be received by 5.00pm on 1 June. For prospective students we have accepted with a place in the school, the withdrawal policy still applies. In such cases, the deposit paid to secure the place will be forfeited and the Refundable Capital Levy, if paid, will be refunded after the Student Withdrawal Notice is received. Should there be changes to the last date of attendance after a proper withdrawal notice has been served, the parent is required to submit a revised withdrawal notice to school stipulating that the revised notice supersedes the original one. However, subsequent change to a later last date of attendance may be declined as this depends on the availability of a school place. In addition, if the revised withdrawal notice stipulates a last date which is less than one month away, a penalty deduction of one month’s fees will be subtracted from the original deposit or RCL payment amount before any refund is made. To cancel a withdrawal notice the parent is required to inform the Principal’s Secretary in writing before the last date of attendance. The cancellation may be declined depending on the availability of a school place. Students leaving should fill in the Leaving Form and get the signatures of the subject teachers, form tutor and the Director of Learning before returning the form to the school office. All students who leave West Island School should complete an Alumni Registration Form.